Our much anticipated Main Stage event is taking place on May 16, 2018, and we’re featuring some award-winning country superstars, one of which is Hunter Hayes! Renowned for his debut and most successful single, “Wanted,” this Louisiana heartthrob is the youngest male artist to top the Billboard Hot Country Songs. Debuted in 2011, his self-titled album became Platinum-certified in less than a year and double-Platinum in 2016. As a vocalist, songwriter, and multi-instrumentalist, Hayes produced two more albums, Storyline and The 21 Project, prompting nominations for five Grammy awards over the years. Will he give us a taste of this at Live in the Vineyard Goes Country? 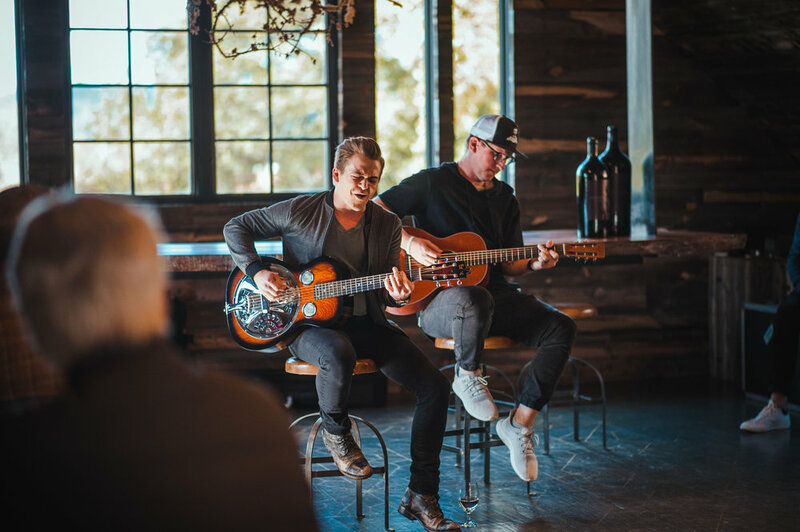 There’s only one way to find out…enter for a chance to win our grand prize sweepstakes where you and a friend could win round-trip air transportation, two (2) nights hotel accommodations and the opportunity see Hunter play in Napa, CA. The contest is open through April 26th, so do not wait to submit your entry! One thing’s for sure, he’ll undoubtedly enchant us with his devilishly handsome looks and captivating acoustic set! Carrie Underwood to Headline Live in the Vineyard Goes Country!